Great ideas for Bridal Shower Activities! 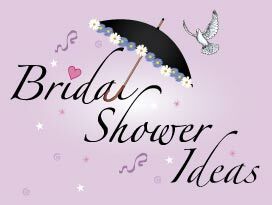 We have a separate section providing ideas and printables on Bridal Shower Games but this section goes one step further providing fun activities including jokes, trivia questions, trivia quiz, questionnaire, Word Search and Songs - all free and with subjects related to Bridal Showers! Our Bridal Shower Activities section provides the following links to access some great printable activities including quizzes, word search and crosswords. Browse through our list of games for showers and start planning your party to celebrate with the bride-to-be! Include a fun quiz in your planning. We have provided easy, printable trivia quiz questions that you can give out to each of your guests! Everyone can join in the quiz activities. You can arrange a trivia quiz for individuals to complete but for even more fun split your guests into quiz teams! We have provided Trivia Quiz printables all ready for you to print! Great Party Activities including Trivia Quiz Questions. A Word Search puzzle or crossword puzzle is good fun - most people enjoy completing them! Word Search and Crossword activities are novel additions to include in your party. We have provided lots of Word Search and Crossword Printables - which are a brilliant additions for perhaps some elderly guests or guests who are shy are do not not many people attending the party. Add to the party fun and have lots of little favors to give out as gifts or prizes! Great Party Activities including Word Searches and Crossword puzzles. Everyone likes to have a good laugh and we have provided a section on jokes! Choose your favorite jokes to put everyone into a happy mood. Print some jokes off and put a joke in each of the Bridal shower favor bags or boxes! Great Party Activities including funny jokes. What music and songs are suitable for your party. We have provided a list of music and song suggestions. You can create a CD of songs that are related to being a parent! It's a really nice touch to a party and will help to create the right atmosphere. Crazy idea is to include a sing-a-long section in your party planning - print out the words to some songs and create your own Karaoke section! Great Party Activities including a sing-a-long. Our printable quiz format is suitable for all festive occasions. Have fun testing your knowledge with our challenging questions and answers. There is a free printable question and answer sheet for each of our great quizzes. Print the Free quizzes with Questions and Answers for your guests! Have fun with our Free Puzzles! Puzzles are great activities for guest who enjoy some quiet time. Activity Sheets and Ideas for free puzzles to keep everyone amused including crossword puzzles and various puzzle games and problems. These Printable puzzles, problems and games are completely free and ready to print. Our selection of word puzzles, crossword puzzles, brain puzzles, Wordsearch puzzles and brain teasers are great fun. Include these different activities in your party planning. Throw a party with loads of activities! Planning! Checklists! Activities! Quizzes! Word Search! Our selection of Bridal Shower Ideas includes our unique printable invitations. Top ideas for Bridal Shower Activities! Fully personalized and homemade Bridal shower invites and thank you cards are not only easy to make and print with the addition of photos but are also cheap to make!